Valentine’s Day is upon us and whether you are in a relationship or single, February 14th is a day you deserve a treat. Celebrating love comes in many ways. It can refer to the love between two people, the love you have for your family, but also self-love. Yes girl, show some love to yourself! So, instead of moping around on your couch, wishing you had a boyfriend this Valentine’s Day and watching a Gilmore Girls’ marathon, make it a point to enjoy this day for yourself. Here are 8 Valentine’s Day Ideas for Single Women. No matter if you go to a spa, get a Thai massage or a mani-pedi, get out and treat your body to its favorite feel-good moment. Because if your body feels good it’s only a matter of time until your mind does. Tip: Check out Groupon for unique offers on massages and other fun activities in your city. Now I’m not talking about a 7-day trip to Paris (even though if you can why not), but more about a trip out of town. Google a lake, forest or small town nearby and go explore. Use the day to reconnect with yourself and enjoy the small things like nature, solitude, and freedom. Attention, before considering this valentine’s day idea, please check your bank account!.. Okay now that we have that PSA out the way, let me share my real thoughts. Shopping has a way of making us girls feel good, so give your endorphins a little push and shop at your favorite store. No need to get 10 dresses, but maybe a shirt or two? 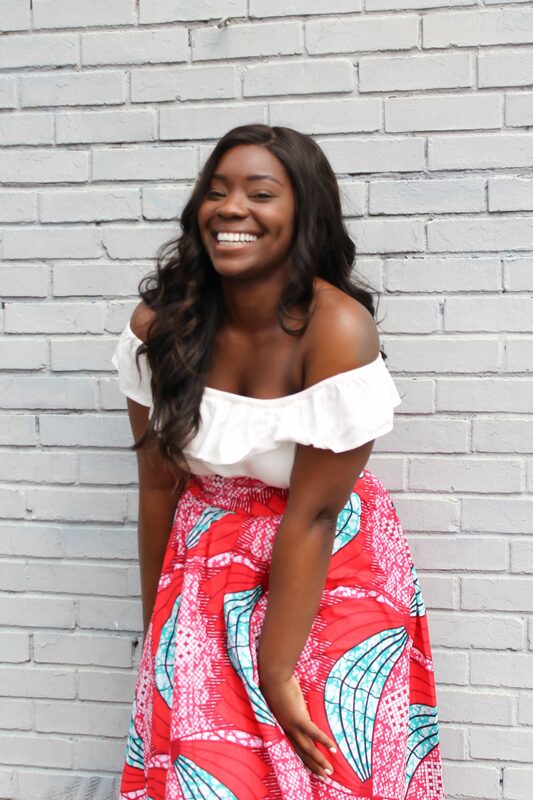 Think about the clothes you need for spring anyways and just get stocked up a little early. Don’t have the money to spend? No problem! Indulge in some window shopping at a luxury boutique instead. That will make you feel like a thousand bucks for a day. Been wanting to redecorate your room, try out this super time-consuming recipe, or just have a go at a DIY project in general. Go ahead, this is your day. Being able to accomplish something you’ve been postponing awards a great sense of accomplishment and will make you feel good every time you see it. Following the last idea, trying out something you have never done is my top recommendation for a great Valentine’s day idea. Don’t waste your life waiting to do all the fun things until you have a man. Instead, sign up for the Salsa class downtown, dare to go skydiving or visit a pottery class. While I’m not suggesting to go and help out people in need so you can feel better about yourself. Instead, go and spread some love. Get somebody else to smile, by helping out in your local soup kitchen or homeless shelter, playing bingo at the elderly center across town or landing a hand at the animal shelter you like. Another great way to release endorphins is to exercise. No matter if you go to the gym, do a few laps at the pool or take a hot yoga class. Working out will make you feel good about yourself and give you a nice energy boost. Last but not least, plan a good old girl’s night out or in. Boo’ed up or not invite your favorite girlfriends over for a night of fun, food, and foolishness. Mix cocktails, bake muffins or go out and dance until your feet fall off. Whatever you decide to do, make sure you celebrate love and life. 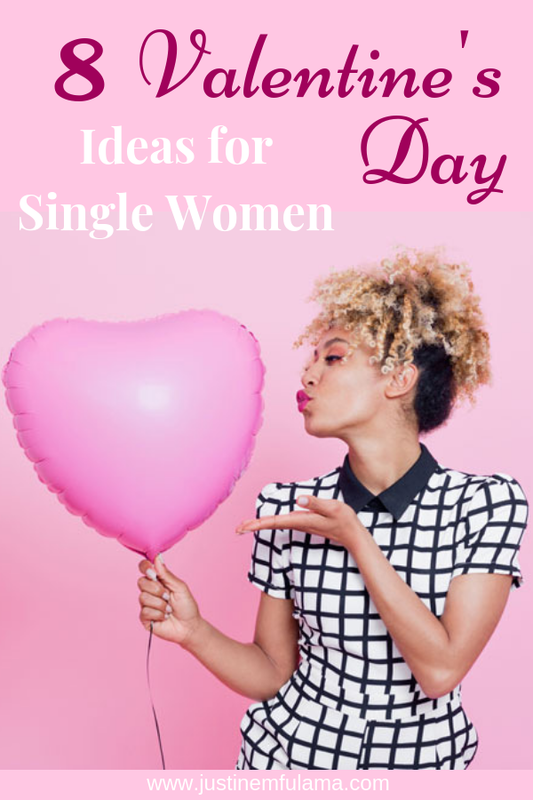 I truly think that these 8 Valentine’s Day Ideas for Single Women will make you feel fabulous and loved! What a fabulous list! I especially like the idea of Galentines Day! I’m a wordy person, though not clever enough myself, I always am inspired by people who come up with clever names!